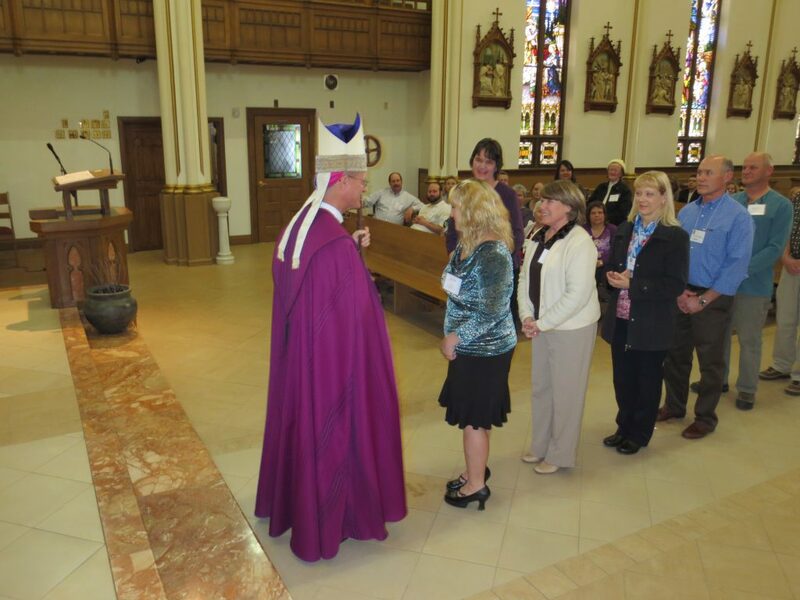 Yesterday most Dioceses around the country celebrated the Rite of Election and Call. This is a formal stage of the process of acknowledging the call of our Lord in the life of those who will join the Church as full members this Easter. The Rite is to be celebrated in the Cathedral wherever possible. This is significant in that the Cathedral and the Bishop represent the unity of the local Church (Arch/Diocese) as well as its unity with the universal Church. This is always a beautiful moment as it represents new life in those who have heard the Lord calling them to full communion in the Catholic Faith. These individuals for the most part have been in a formal instruction process since late August or early September which the Church calls RCIA (Rite of Christian Initiation of Adults.) Yesterday was a big step, and one of the final steps before receiving the Sacraments of the Church during this year’s Easter Vigil. It is a big sacrifice for people of this diocese to come to the Cathedral for any celebration, especially in February. 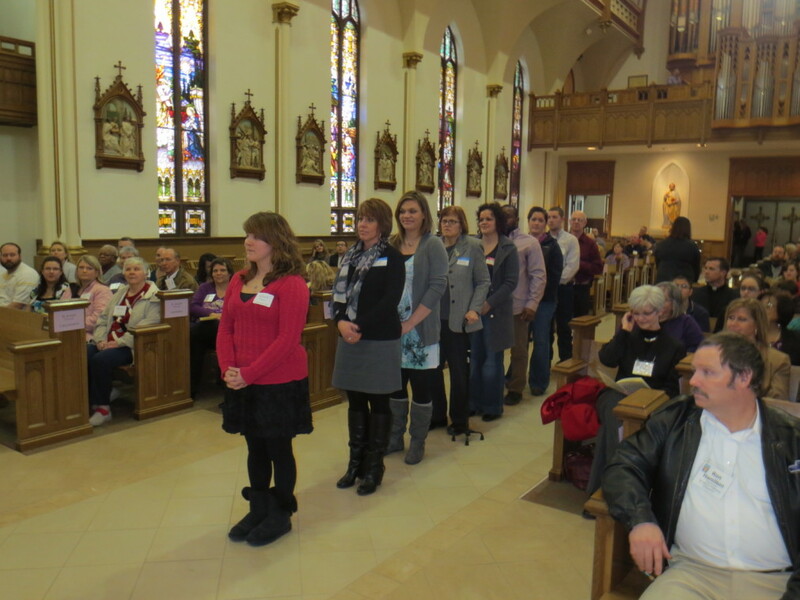 But, we were blessed with a beautiful day, allowing representatives to come from ten different parishes. There were approximately 55 catechumens (unbaptized) and candidates (those previously baptized in another Christian tradition.) Over 200 people total were present in the Cathedral. Once again, we welcome all those preparing to be received into the Church this Easter. We pledge our love and support, as well as our own presence in your journey as those striving to continually grow in the life that is ours in the Risen Lord. Here are some pictures that captured the moment. 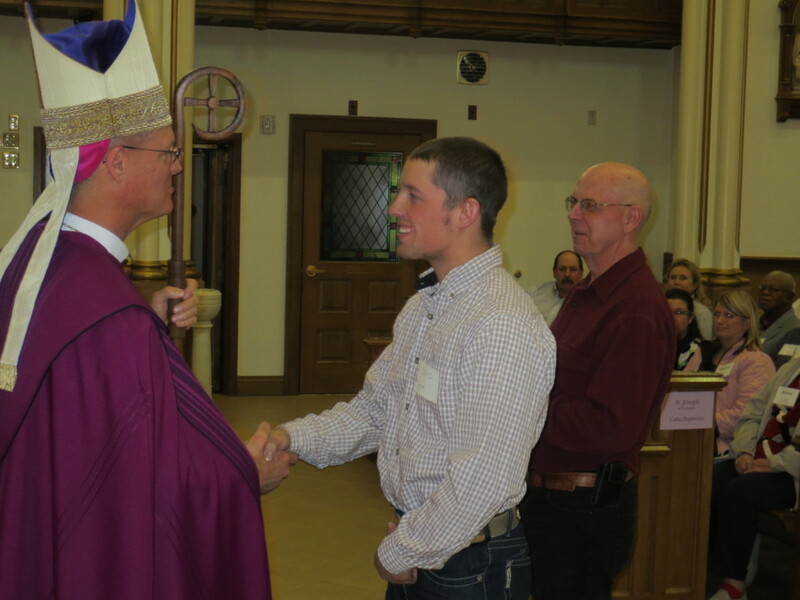 Thanks to Deacon Carroll Schell for the photos. 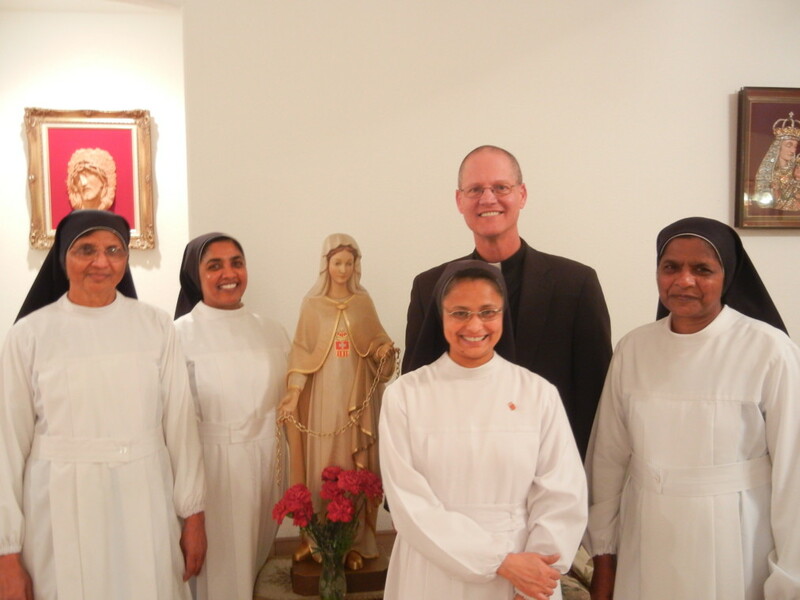 The day concluded with a trip into Colorado where I met some Sisters of Our Lady of Mercy. We presently have a priest from the Diocese of Nelore, India serving in the Diocese. He came to know of a group of Sisters from India serving at St. Joseph’s Catholic School in Ft. Collins. So, Fr. Thomas and I spent a lovely evening and enjoyed a great meal with these sisters. My guess is, St. Joseph’s is blessed to have these sisters serving their school.